Once you’re introduced to the world of computers, you’re likely to find that installation is not just about plugging the hardware correctly into your computer. 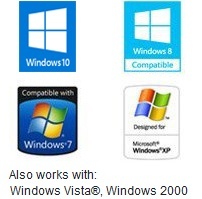 You might feel that it’s over after you’ve installed the operating system and your needed office software. But, there is so much that you need to do while setting it up initially. All these installation jobs are a bit easier for businesses as they have their own IT help desk to guide and assist them. You being a home user will either have to do it yourself or might need to seek the help of a relative or a friend who’s more experienced in setting up such systems. The cards that you need to operate all hardware devices are included in the tower unless you install it yourself e.g. RAM, hard drive, sound card, video devices, and audio devices as well as the printer. These hardware devices can be operated with the help of device drivers. The operation of hardware devices is guided by a device driver which is software. For example, the function of a printer is guided by a printer driver. The way a computer user wants a particular device to perform is enhanced by the connection between the computer and that particular device. There is a driver to all hardware devices attached to your computer. It is not possible to operate your hardware without device drivers. Device drivers resemble any other software – they can be damaged by viruses or may even become corrupt. They can even be affected by malicious infections, worms or Trojans. It is one of the reasons why it’s so important to store them on a CD at a safe place and up dated regularly. The latest drivers can be placed on the desktop, but remember that you’ll lose your drivers once you’re virus-infected and if the virus mandates a hard drive reformat. If the network drivers aren’t affected, you may download them once again. You’ll not be able to download anything without these network drivers. It won’t even be easy for you to access the internet. Device drivers are truly important parts of a hardware device. In order to use them time and again, you’ll need to get them updated and keep them at a safer place. Your older drivers will be over-written every time you download the new ones as you don’t need the older drivers any more. Under most circumstances when a device isn’t working you’ll find that it’s a driver-related problem rather than being a problem with the device. It mostly happens with hardware that you store on cards within the tower of your computer. If you depend on your device drivers so much, you’ll need to get your system programmed in such a way as to achieve automatic updates for including device drivers. At the same time, you should make sure that you maintain a back up of these updates on a jump drive or a CD. Thus, you may obtain a better system performance once you understand the importance of device drivers.